This article was written by Peter Buxbaum and originally appeared in Freight Business Journal North America. To read the full article, please link here. The highly competitive e-commerce business has come a long way in the last fifteen years to take its place as an important segment of the world economy. Once largely confined to retailing small consumer goods, e-commerce vendors now also sell everything from household appliances to the gamut of business-to-business products. The customer experience is now king in the e-commerce world, and that covers not only the appearance of the website and the ease of ordering, but also product selection and availability and the speed and reliability of deliveries. Given the current state of e-commerce, it’s not surprising that transportation and logistics have emerged near the top of companies’ priorities. Third-party logistics providers are increasingly beefing up their e-commerce expertise and offerings, deploying new systems to deal with the explosion in e-commerce-related shipments and data and reimagining themselves to provide the visibility and flexibility that e-commerce companies need to succeed. From a logistics standpoint, Zulily fulfills customer orders in three ways: from inventory held in company fulfillment centers, by having third-party vendors supply product to fulfillment centers based on purchase orders, and by vendors drop shipping orders directly to consumers. In any case, Zulily owns the freight processes involved in getting products to end users. Some leading 3PLs are indeed developing capabilities required by e-commerce players, but many in the industry are “coming along grudgingly,” said Cathy Roberson, founder and head analyst at Logistics Trends & Insights. As a result, there are a lot of startups popping up – companies like Flexport, for example, “to address issues not being addressed by traditional logistics providers.” In the age of e-commerce, transactions and processes are moving online, and that’s exactly what this new breed of logistics provider is doing for freight forwarding and logistics. One feature of Zulily’s business model is to keep inventory levels low. Only 27% of Zulily products are fulfilled from stock kept in the company’s fulfillment centers in McCarran, NV; Bethlehem, PA; Lockbourne, OH, and Shanghai, China. 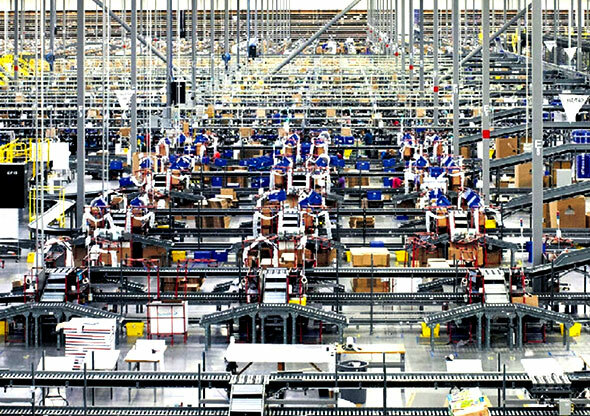 Zulily’s US fulfillment centers total 2.2 million sq. ft. and employ 3,200 workers. Drop shipping is reserved for products that require more flexibility, such as large or bulky objects like furniture, customizable pieces, consumables such as food, and, hazardous materials such as perfumes and electronic devices with batteries. The typical shipment involves an order placed during a Zulily event, at which point the company sends a purchase order to its vendor, and the items are sent to an FC, where the merchandise is packaged, consolidated when possible, and shipped to the customer. Given the desire of customers to receive their orders quickly and Zulily’s commitment to the customers experience, the company often employs airfreight for items that originate overseas. Indeed, e-commerce is seen as a major factor in the air cargo boom seen in that last few months of 2017. Zulily’s shipping system allows it to make decisions at the ship point rather than the order point for inbound and outbound packages. “This allows us to be nimble and remain focused on providing a wide variety of desired products to our customers, by utilizing both consolidated and drop-ship methods of delivery,” explained Landram. 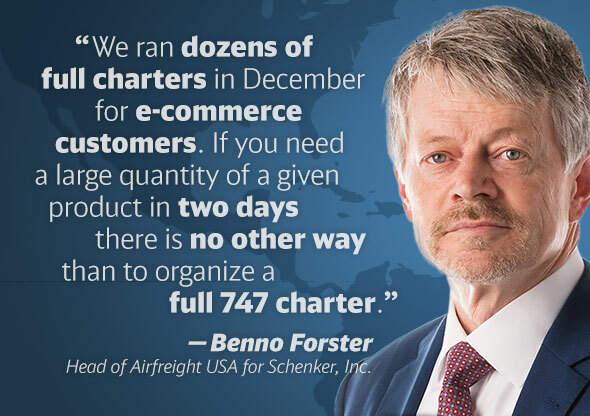 Flexport, a full-service ocean and air freight forwarder, also uses proprietary software and, given its digital bent, uses that software “to enhance the customer experience,” according to Leung. Other forwarders have deployed digital platforms, Leung acknowledged, but many of those were built in the last century. “Ours was developed in the last few years,” said Leung, which allows it to incorporate the latest data analytics and decision support features of modern software. The Flexport platform also features an open application programming interface which allows for easy mapping and integration with its customers’ ERP systems. Above all, it provides e-commerce shippers with the end-to-end visibility they require to manage inventory, including inventory in transit, to make quick decisions based on changing circumstances. E-Commerce is a rapidly evolving business and companies need to be prepared for developments over the horizon. 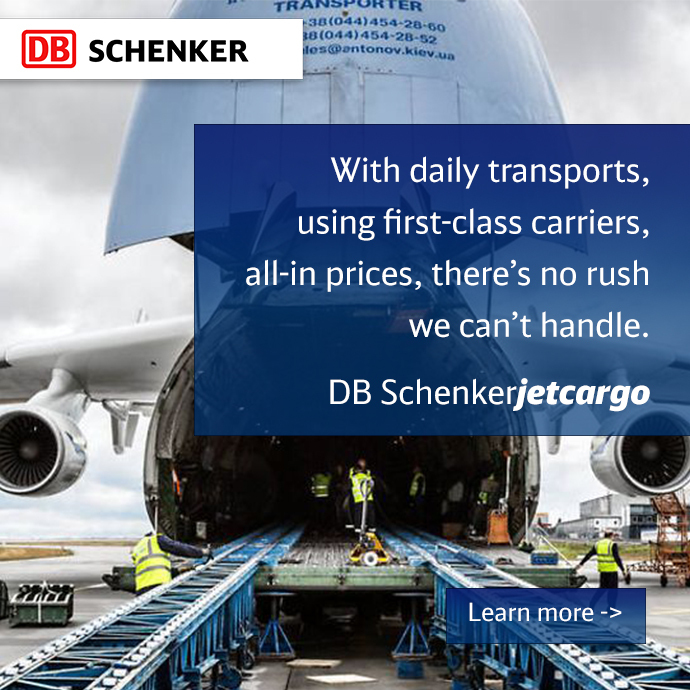 Given the increase in airfreight rates, e-commerce players may have to reconsider their transportation options. Indeed. Ocean transportation may lower costs, but will increase delivery times. That means sellers will have to keep more inventory on hand for quick fulfillment and delivery. These kinds of developments could turn some business models on their heads. It’s hard to say what the future holds, but one thing is certain: e-commerce sellers and their service providers had better stay on their toes.